Turkey Time! 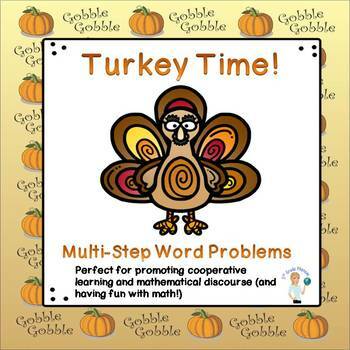 Word Problems includes 8 turkey-themed, multi-step word problems perfect for promoting mathematical discourse between students as they engage in productive struggle to solve them. Problems can be solved by drawing models, writing expressions, creating tape diagrams - any method that enables students to show their thinking while solving.